Oooh! 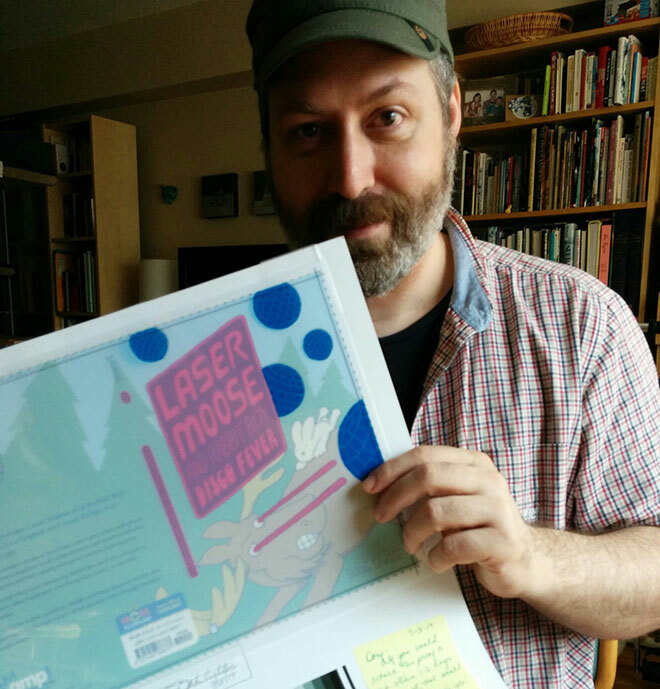 Look it’s the cover proof for the new book! Exciting! 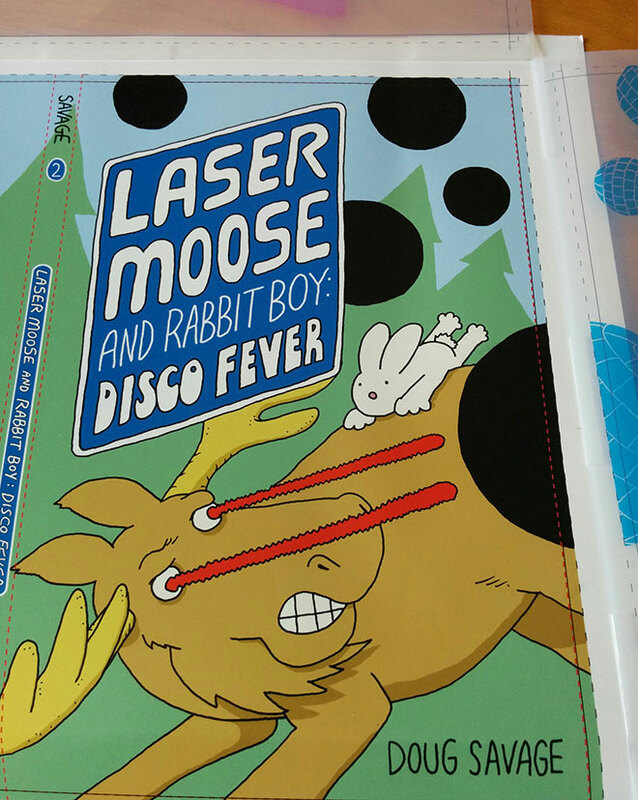 Andrews McMeel just sent me the proof of the cover for the new Laser Moose and Rabbit Boy book! 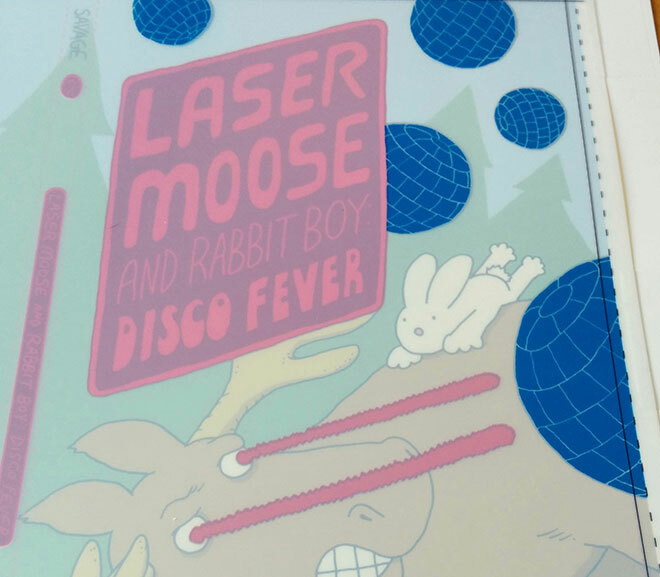 This time, the cover’s getting a glossy layer AND a super-fancy shiny foil layer. 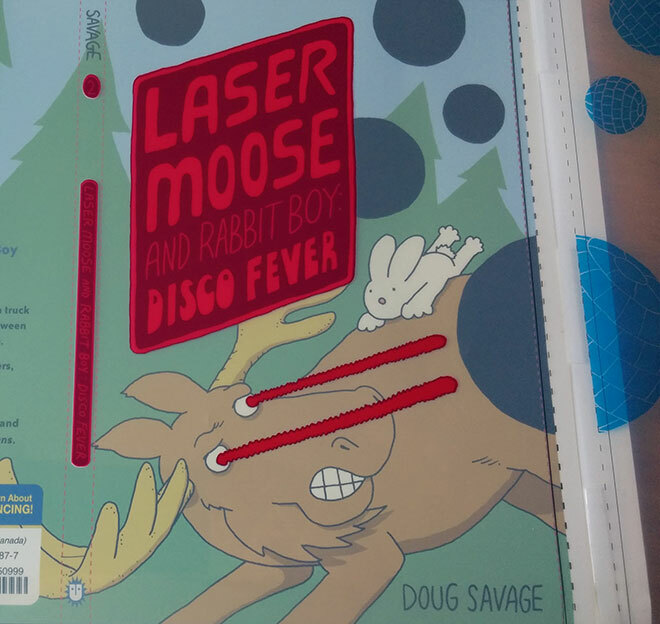 This proof shows what the cover color will look like and where the gloss and foil will show up. I can’t wait to see the final version when it comes out in October! This is the layer for the foil. The blue parts will be super-shiny disco balls in the final version! And here’s the next layer. The red bits will be a shiny gloss layer (like we had on the first book).